In the world of professional gambling, there is a well documented hot streak of near-mythical status referred to by many as “The Run”. During this streak, a man known as Archie Karas turned $50 into $40 million by primarily shooting pool and playing poker in Vegas. What makes this run so infamous is that, after winning more money than most people could spend in a lifetime, Karas lost it all in the span of a few weeks. The Run began in 1992 when Karas (aka: Anargyros Karabourniotis) drove to Las Vegas with approximately $50 in his pocket. The then 41 year old had originally come to America from Greece via working aboard a cruise ship as a waiter. Before that, he ran away from home at the age of 15 after his father attacked him with a shovel. Once in America, he developed prodigious skill at both pool and poker, and several times made himself a millionaire via gambling in California, only to lose much of it shortly thereafter. Notably, directly before his famous trip to Vegas, he managed to accumulate over $2 million before losing most all of it playing poker. Rather than quit, he decided to head to Vegas to try his luck there. Karas’ previous experience playing high-stakes poker helped him turn his $50 into $10,000 almost immediately when he bumped into a high-roller at The Mirage he’d previously played with and convinced him to give him $10,000. The high-roller, knowing Karas’ skill, happily lent him the money and watched as he turned it into $30,000 in a matter of hours at the poker tables. In repayment of the loan, Karas gave the man $20,000 and headed for the pool halls with the remaining $10,000. I don’t rattle easy, but that rattled me, as I didn’t even get the chance to shoot one ball in those games. It is hard to fade, believe me. It felt like I was throwing $40,000 at a time, right out of a car window in seconds, over and over again, and my hard-earned money was flying off into the wind. Like their pool games, the stakes between both men quickly became high at upwards of $15,000 per hand while playing seven card stud- an amount Karas describes as “unheard of in those days”. After three weeks of playing poker with Mr. X and others, Karas had another $3 million in his pocket from those games and the same playing dice in between poker matches, bringing his total up to $7 million in about three months of gambling. Rather than retiring an living off the interest, Karas set up shop at Binion’s Gambling Hall and Hotel (then known as Binion’s Horseshoe) and simply sat at the highest stakes poker table with $5 million in chips in front of him. To psyche out any potential opponents, Karas would occasionally stand up and go to the bar or toilet, leaving the $5 million on the table like he didn’t even care about it. In reality, the money was being closely watched over by casino security, but it did cause enough of a stir to pique the interest of some of the biggest poker stars of the day. 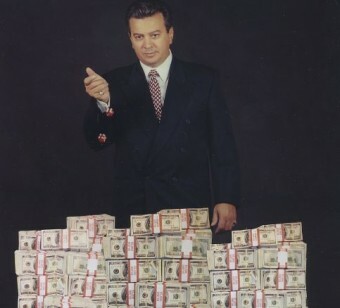 Over the next six months, Karas won an additional $10 million from some of the best card players of all time including Stu Ungar (widely considered the best Texas Hold ‘Em player ever), Chip Reese (one of the youngest players ever inducted into the poker hall of fame) and Johnny Chan (one of only a handful of people in history to have won the World Series of Poker main event consecutively). During this particular hot streak, Karas continually tried to raise the stakes against his opponents until he was playing half-million dollar games. While this earned him an undeniable amount of kudos from his peers, it had the adverse effect of ultimately scaring away nearly every high-roller in Vegas. And so it was that after six months of dominating high-stakes poker, losing only one major game to Johnny Chan, Karas got bored of chasing opponents and decided to take his $17 million to the dice tables at the Binion Horseshoe, as they prided themselves on allowing customers to bet more money at once than any other casino in Vegas. At the end of this final streak, Karas had managed to acquire another $13 million, bringing his total winnings over this two and a half year period to over $40 million (about $65 million today). It’s at this point that his unprecedented run stopped cold. Over the course of the next few weeks, Karas lost about $17 million playing baccarat, $11 million playing dice and $2 million playing poker against Johnny Chan. Just like that, 75% of his fortune was gone. These losses shook the normally ice cold Karas enough to prompt him to return to his native Greece for a few weeks to catch his breath. 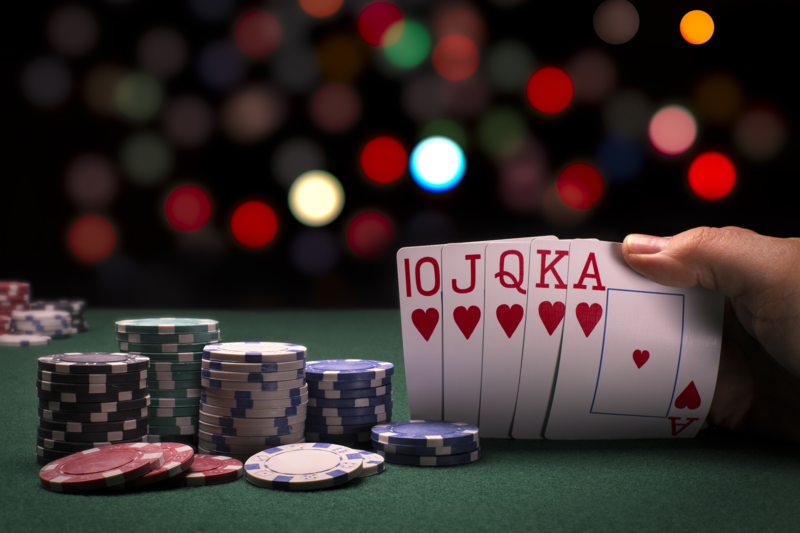 But the allure of Vegas and the highs of gambling tempted him back and he proceeded to lose another $10 million or so almost immediately upon return, leaving him with about $1 million to his name. Karas briefly regained his luck, winning about $2 million in a single high-stake poker match against Chan, but lost all these winnings playing dice directly after. After this final losing streak, Karas was broke; he’d lost just over $40 million in about a month’s worth of gambling. By his own estimation, during The Run, Karas gambled over a billion dollars. Whether true or not, the better documented exploits during his streak would seem to indicate he’s probably not far off when he states he’s gambled more money than any single human being in history, except for “people on Wall Street”. Showing that lack of fear, after losing that $40 million, Karas continued gambling, managing to win and lose millions of dollars a few times over in the two decades since. Notable in these mini-runs was the time in 1996 when he turned $40,000 into about $5 million, then promptly lost it all the day after winning approximately 80% of that sum. Unfortunately for Karas, he won’t be able to go on any other such runs in Vegas for the foreseeable future. Why? In 2015, he was added to Nevada’s infamous “Black Book” (a list of people banned from ever gambling in the state) after being found guilty of marking cards in a blackjack game in 2013.